The North Branch Area High School Lifetime Achievement Hall of Fame was established by the North Branch High School Alumni Association in August of 2013 to recognize distinguished alumni. It is the purpose and goal of this organization to recognize North Branch Area High School alumni who have distinguished themselves by their achievement in their field of work or study, their significant contributions in their service to their community and to society as a whole, and their personal excellence and dedication to lifelong learning. By honoring these positive role models, we hope to provide inspiration to our current students regarding the value of education and citizenship and the possibilities to which it may lead. The Hall of Fame Selection Committee will meet each year to evaluate and recommend alumni to be inducted to the North Branch Area High School Lifetime Achievement Hall of Fame. The nominees shall be graduates of North Branch High School. All nominees must be at or past the 25th anniversary of their high school graduation. The committee will also include those alumni who graduated from 8th grade prior to 1909. Nominations should be submitted for individuals who have demonstrated outstanding achievement in areas such as citizenship, leadership, community service, and career achievement in the arts and sciences, education, business, service industries, medicine, research, and other professional fields. Nomination forms are available at the alumni web site.Anyone can submit a nomination. An alumnus can also submit a nomination for themselves. Nominees that were not selected for the Hall of Fame in a given year will be considered for the following years and do not have to be resubmitted. Nominations for any given year must be to the committee by March 1st. All nominations must include a resume of the nominee and three (3) Letters of Recommendation from others who know the nominee. These should be from people such as classmates, work colleagues, or someone familiar with how the nominees educational achievements go beyond the norm, how his or her career achievements have stood out and how his or her non-career volunteer efforts have impacted others in their community in a positive way. These must be accompanied by the nominee’s name, address and phone (unless deceased), profession, and year of graduation from North Branch, as well as the name, address, phone, and signature of the nominator.The Hall of Fame Selection Committee may induct individuals posthumously. The Hall of Fame Selection Committee has the right to waive qualification standards for nominees by unanimous vote. *please include a portrait photograph of the nominee. The Hall of Fame Selection Committee will be determined by the Alumni Board. Members of the Hall of Fame Selection Committee are not eligible to be inducted into the Hall of Fame while they are on the committee. They will be eligible to be inducted after their term is completed.Committee members cannot vote on any immediate family members that are nominated. 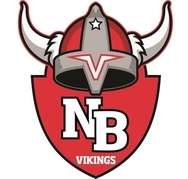 It is the purpose and goal of the NBHS Alumni Associationto recognize North Branch Area High School alumni who have distinguished themselves by their achievement in their field of work or study, their significant contributions in theirservice to their community and to society as a whole, and their personal excellence and dedication to lifelong learning. By honoring these positive role models, we hope to provide inspiration to our current students regarding the value of education and citizenship and the possibilities to which it may lead. Please complete as much as possible of the information requested. Please attach a narrative or brief statement (no minimum / 500 word limit) explaining your reasons for the nomination.